Log Odds of Positive Lymph Nodes (LODDS): What Are Their Role in the Prognostic Assessment of Gastric Adenocarcinoma? Nodal status is an important prognostic factor for patients with gastric cancer. Log odds of positive nodes (LODDS) (log of the ratio between the number of positive nodes and the number of negative nodes) are a new effective indicator of prognosis. The aim of the study is to evaluate if LODDS are superior to N stage and lymph nodal ratio (LNR). 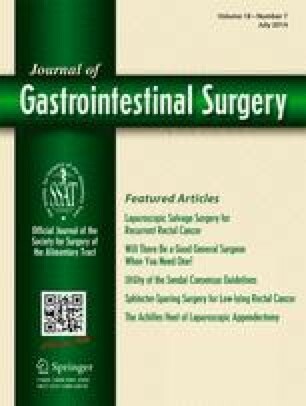 Prognostic efficacy of pN, nodal ratio, and LODDS was analyzed and compared in a group of 177 patients with gastric adenocarcinoma who underwent curative gastrectomy. pT, pN, LNR, and LODDS were all significantly correlated with 5-year survival. Multivariate analyses showed significant values as prognostic factor for pN, LNR, and LODDS. A Pearson test demonstrated no significant correlation between LODDS and retrieved nodes. In patients with less than 15 examined nodes, LODDS classification and pN were significantly correlated with survival, whereas LNR classification was not significantly related. LODDS are not correlated with the extension of the lymphadenectomy and are able to predict survival even if less than 15 nodes are examined. They permit an effective prognostic stratification of patients with a nodal ratio approaching 0 and 1. Further studies are needed to clarify their role and if they are capable of guaranteeing some advantages over pN and LNR.